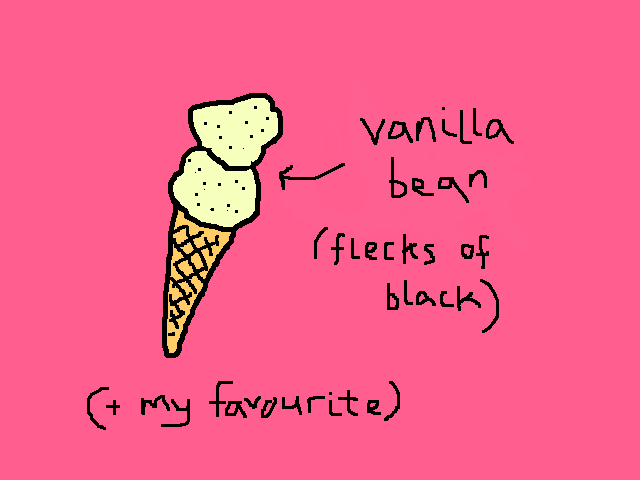 Vanilla ice-cream is too often written off as the "plain" flavour. Just last night some so-called 'friends' of mine tried to do it again, as they bypassed it for the more colourful varieties slowing melting between us on the table. A ranty argument ensued. 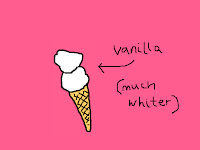 Vanilla is no different from strawberry, apart from the fact that it's a different flavour. 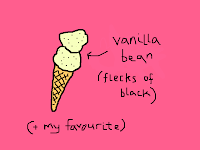 A "plain" flavour of ice-cream would be "cream flavour". 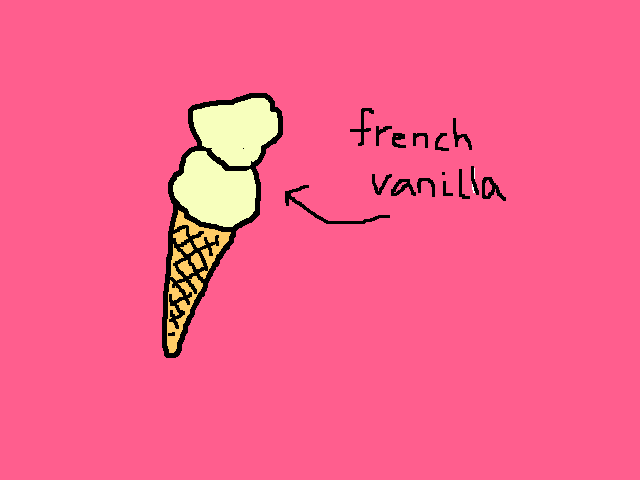 Thus, vanilla is the delicious flavour added to turn plain ice-cream into a delicious flavour. 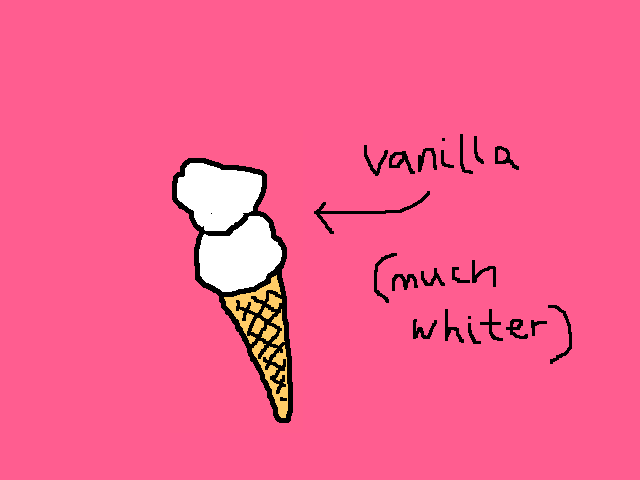 And actually, vanilla is more of a flavour than strawberry. 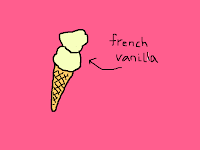 Vanilla comes in different varieties, like vanilla, french vanilla, and vanilla bean. Strawberry is just strawberry. You don't see french strawberry now do you? Or strawberry bean. Huh. To conclusively prove my point, consider the following evidence, frequently witnessed in ice-cream parlours across the world. The consumer walks up to the ice-cream freezer. "What flavour would you like?" the kind ice-cream vendor asks. "Plain flavour please" the ignorant consumer replies. "I'm sorry, we don't have plain ice-cream" says the accurate ice-cream vendor. "Then what's that plain coloured one?" questions the ignorant consumer. "Why that's vanilla, you ignorant consumer" responds the vendor. "Oh, how silly of me" acknowledges the ignorant consumer. Silly indeed. They won't do that again. I implore you not to either.